Air conditioning and heating are inexorably tied to air quality. Many homes have an attached garage, which is tremendously convenient in our hot, Phoenix weather. An attached garage also increases security and provides the convenience of fewer steps when loading and unloading the car. However, if you have an attached garage, you may want to consider the air pollutants which can potentially enter your home and lower the air quality. The car itself in an attached garage affects air quality in the house unless measures are taken to prevent it. 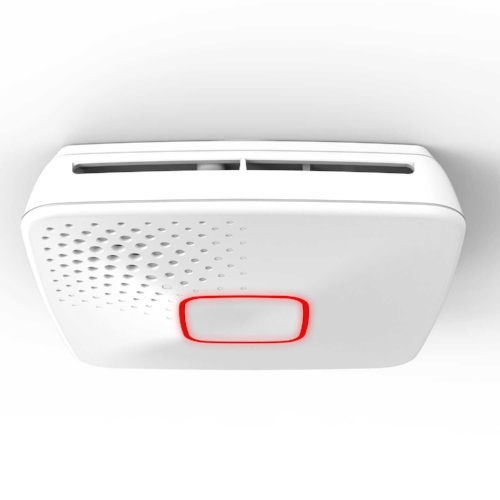 In fact, some homeowners with CO2 detectors and attached garages report that the CO2 alarm can be triggered by air entering the home through the attached garage door. One family we know has a nursery just inside the attached door for the garage. So today, we’re going to review some options for preventing garage toxins from entering your home. Leaving the door open while a car is running in the garage will fill your home with contaminants. An exhaust fan will pull the toxic air out of the garage. 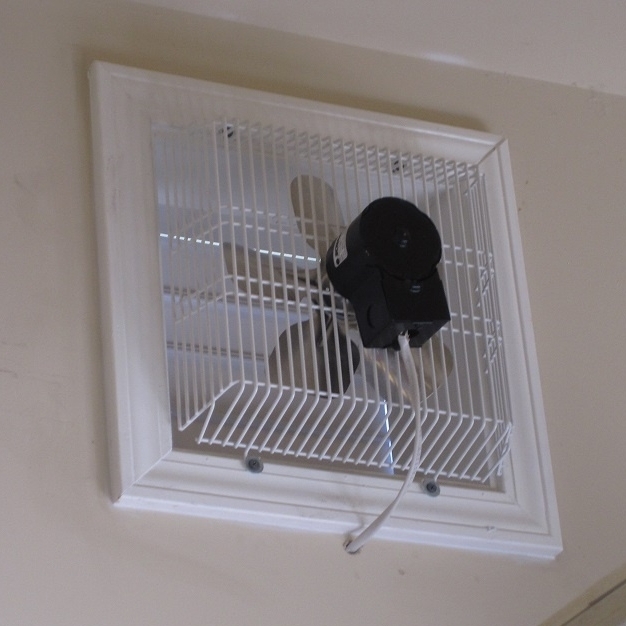 It can be something of the size of a bathroom or kitchen exhaust fan. Since it creates suction, air from your home is more likely to be sucked into your garage than the other way around. Any plug-in appliance such as an exhaust fan can now be a Smart appliance, which can be controlled with a cell phone. Consider turning the exhaust fan on before you walk out to the garage when you’re leaving to create a vacuum. The air from your home will then be sucked into the garage rather than the air from the garage entering your home. Reverse the process when you return home in the car. Don’t run the car in the garage any longer than necessary, for example, to return to the house for a forgotten item or to warm up the car. If you don’t have an exhaust fan, open the garage door before starting the car and wait a few seconds after you shut the car off before closing the garage door to allow exhaust fumes a chance to escape. Minimizing exhaust will minimize the amount of benzene (pollution from exhaust) that can enter your home. Get a CO2 detector for inside the room just inside the garage if you have soncerns. Taped drywall and paint will also help control particulates from migrating from and adhering to the garage walls, so finish the garage as soon as possible. One thing you should be on the alert for: some of the older homes may be connected to the central HVAC system. A garage which shares an HVAC with the house isn’t legal anymore, so if you discover this, make sure to block it off. The fumes from your garage can enter your home through a vent or the HVAC ductwork.